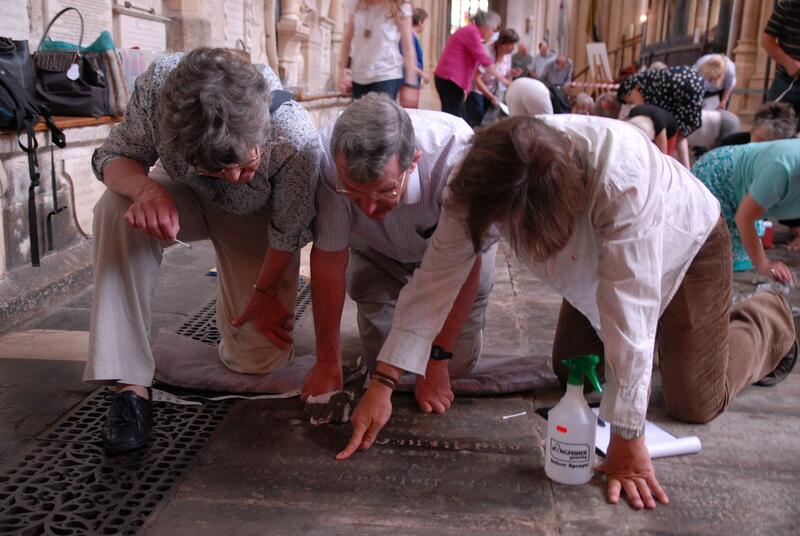 A small section of Bath Abbey’s floor will be lifted and repaired for the first time in over 100 years as part of a trial for the Abbey’s transformative Footprint project. New under floor heating will also be installed under this section of the floor to trial the process which will eventually take place under the whole of the floor in the Abbey. The work has been made possible thanks to generous donations from the Coles-Medlock Foundation and Brian and Margaret Roper. The trial work will- which has already begun – is scheduled to last until the end of the year. The Abbey will remain open throughout the work however the entrance to the Abbey will be temporarily moved to the entrance nearest the Roman Baths, beside the Abbey shop. 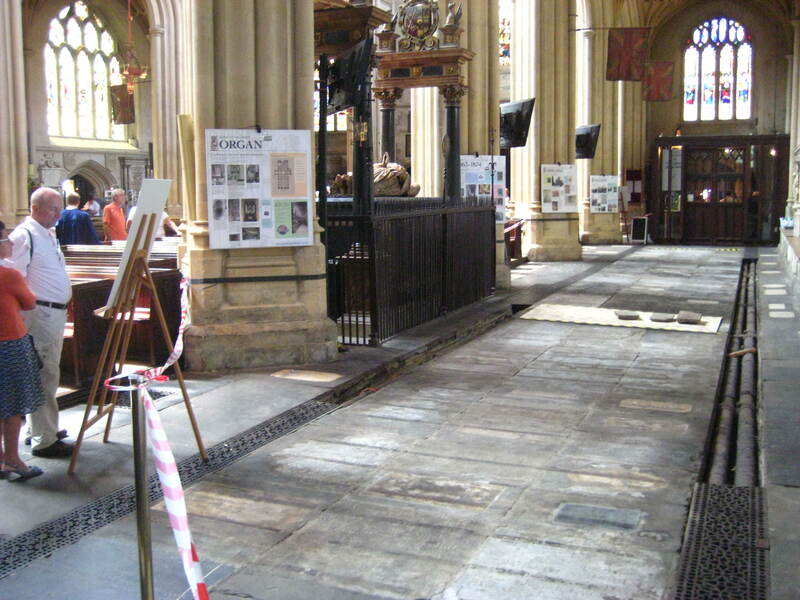 Five small trial excavations of the floor which were undertaken in 2011 and 2012 revealed that the Abbey’s historic floor is at risk. Through time and regular use the floor is collapsing and leaving large voids, some of which extend under the structure of the building. 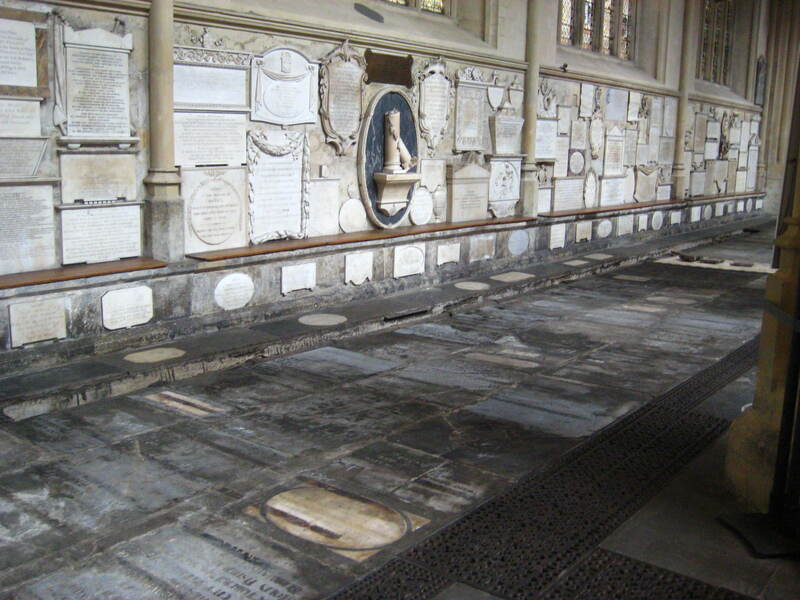 An area sized 50 metres square in the north aisle of the Abbey will have pews temporarily removed, and the stone floor lifted. Voids beneath the floor will then be carefully filled, drilling down to about 2 metres. Once the repair work has been completed under floor heating will be installed and a stone floor re-laid. The heating system will then be monitored for its effectiveness over a period of twelve months. I caught up with the Footprint Project Director, Charles Curnock, in his office near the Abbey, and asked him exactly what was being done? 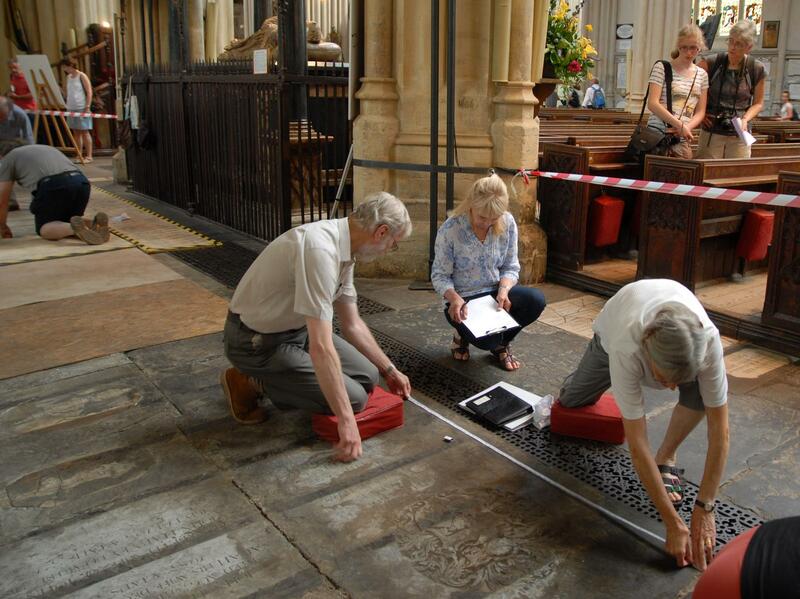 Volunteers from the Abbey and NADFAS (National Association of Fine and Decorative Arts) are currently working to record details from the ledger stones which have been hidden underneath the pews since they were installed in the 1870’s during the Gilbert Scott renovation of the Abbey. The ledger stones will be carefully lifted and stored securely during the work. The work will be done by building contractors, Emerys of Bath with Bath based engineers and architects: Feilden Clegg Bradley Studios, Mann Williams, Bare, Leaning and Bare and Buro Happold. Bath Abbey is a flourishing Church of England parish church which technically serves a small city centre parish (Bath Abbey with St James). This parish has a small residential population and primarily consists of commercial properties; and most of the regular congregation and the 692 people on the electoral roll live in other parishes or come from outside the city of Bath. The Abbey holds daily services of morning or evening prayer or Holy Communion; and the standard pattern of Sunday worship is for five daily services attended on average by 630 people. Special services at Advent, Christmas and Easter are well attended; and many local organisations hold annual services in the Abbey. The Abbey has four choirs: Men’s, Boys’ and Girls’ choirs support worship in services; whilst Melody Makers is a choir for younger children which performs in concerts in the Abbey once a term and at other events in and around Bath. The Abbey runs a successful Schools Singing Programme, an outreach activity which supports singing within local schools and holds regular workshops and concerts in the Abbey. The Abbey welcomes approximately 400,000 visitors annually and is open daily all year round; many of these visitors being families and school parties. Apart from being a place of prayer, worship, weddings and funerals, the Abbey has an important role as a visitor destination, a performance space (for audiences anywhere between 10 and 1,000), a general civic space and an exhibition space.